Beard Balms as you know come in many different scents, some are your standard scent and then others like ‘Classic Man’ Beard Balm from Big Dobs have that extra something! ‘Classic Man’ Beard Balm from Big Dobs is a Cedarwood and Leather scented Balm, the blend of the two scents works so well and even though I’m not a Cedarwood fan, I really like, correction I love this scent. Made from Shea Butter, Jojoba Oil, Almond Oil, Argan Oil, Tea Tree Oil and Vitamin E Oil with essential oils to give that Classic man scent and it does have a very manly cologne like scent. I always hand my wife the beard products for her input, she has the ability to pick out individual scents and I also think it’s important to get the view of a woman, after all they have to be happy with it as well. She agrees with me, this union of Cedarwood and Leather is a winner, it gives the Cedarwood a real lift and the woodsy scent of the Cedarwood with the Leather aroma results in a fresh and manly balm. A medium to firm hold balm, ‘Classic man’ gave my beard a nice healthy sheen and helped to keep my beard looking as good as it can. balm helps to keep those stray hairs in place and give your beard a more groomed look, especially if you have a bigger beard and or is messy like mine. The Balm works into the beard easily and doesn’t leave it looking or feeling greasy and will also help to prevent the dreaded beard itch by keeping the skin under the beard moisturised. ‘Classic Man’ Beard Balm from Big Dobs Omaha, Nebraska comes in a 2oz tin with a screw lid. The tins are branded the same and a coloured dot distinguishes the various scents, ‘Classic Man’ has a green dot. 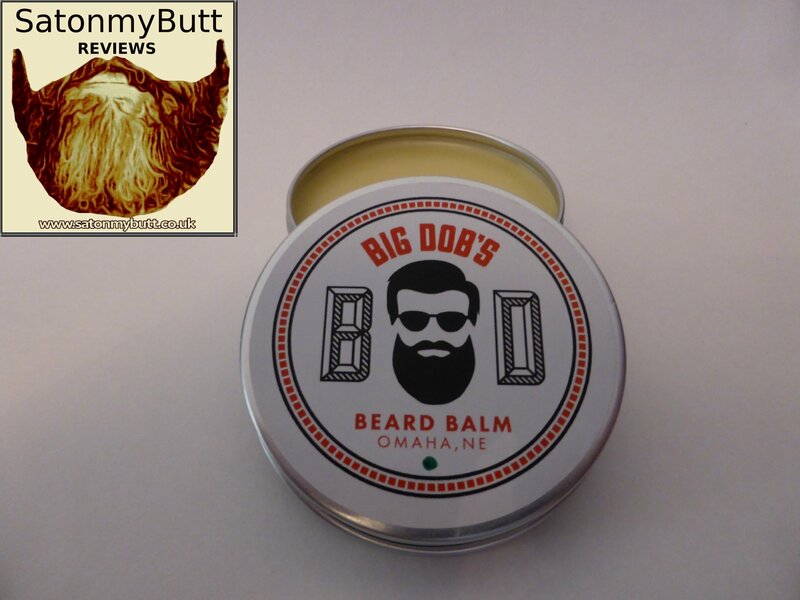 The Balm is available from the Big Dobs website and currently costs $15 for the 2oz tin (previously $20). Bay Rum – A spicy and smooth scent.